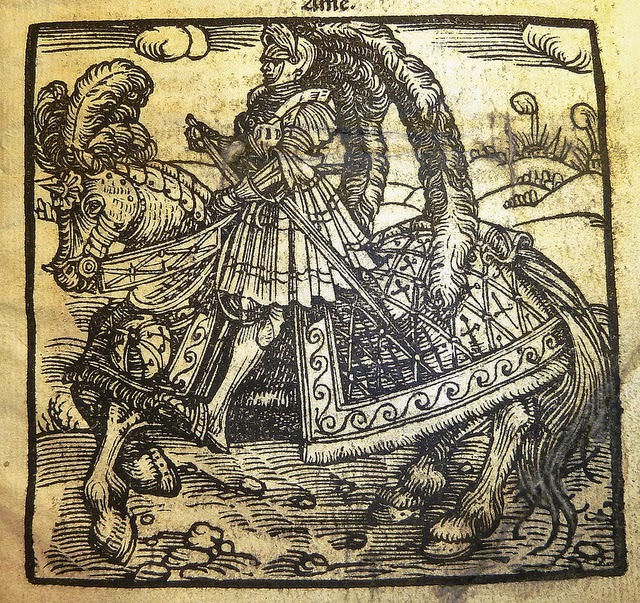 let us turn to the Renaissance Europe for a moment today, as usual about the horses and their riders, a very aristocratic rider in this instance. 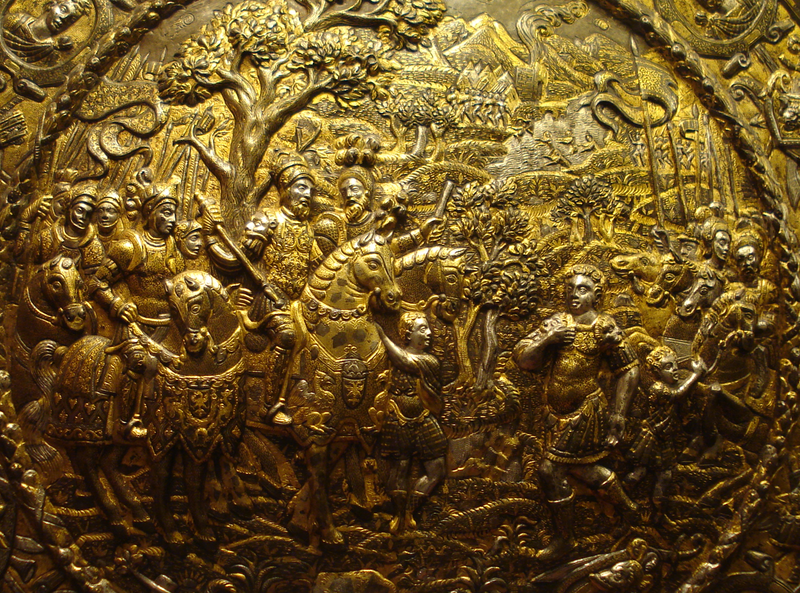 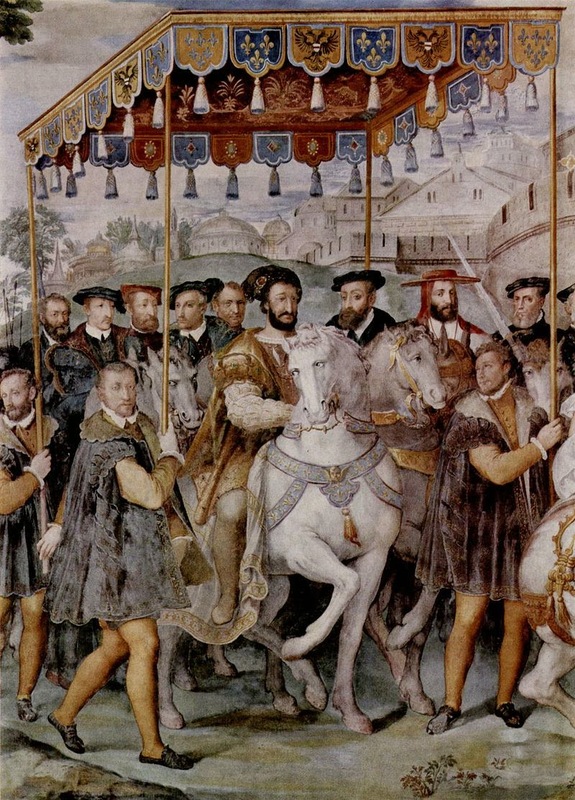 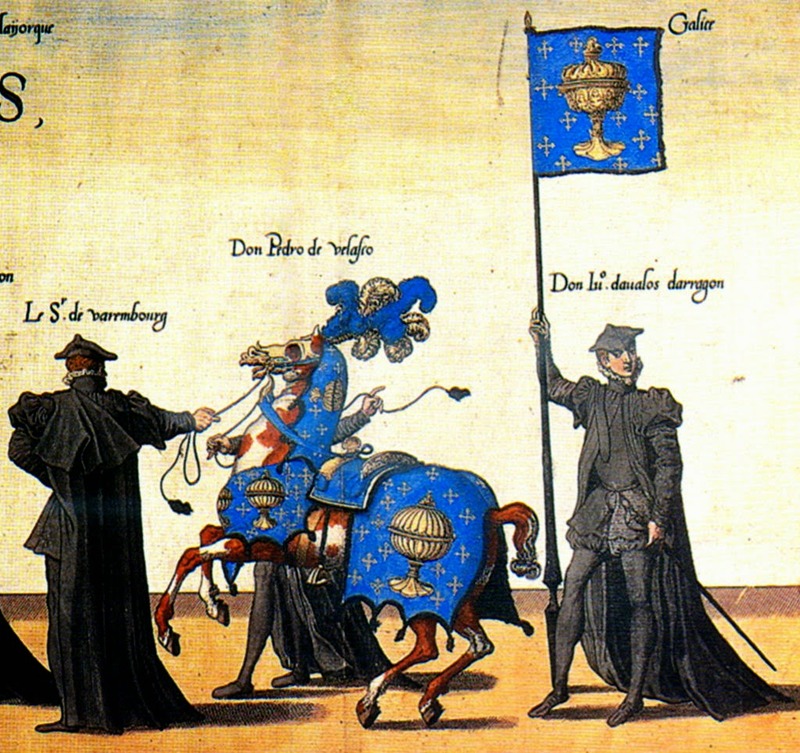 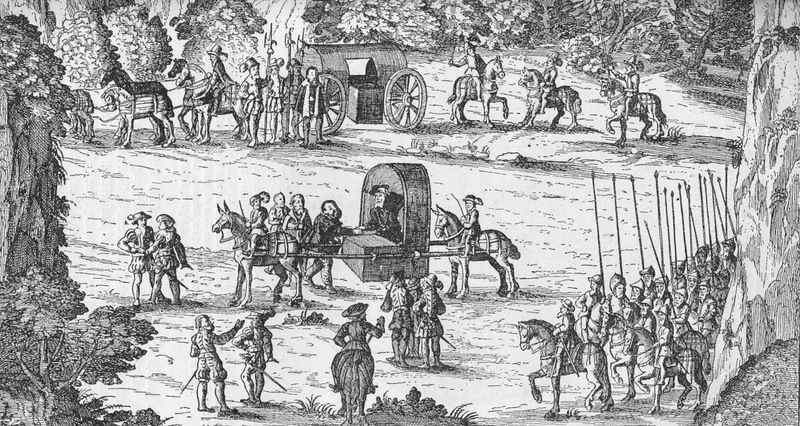 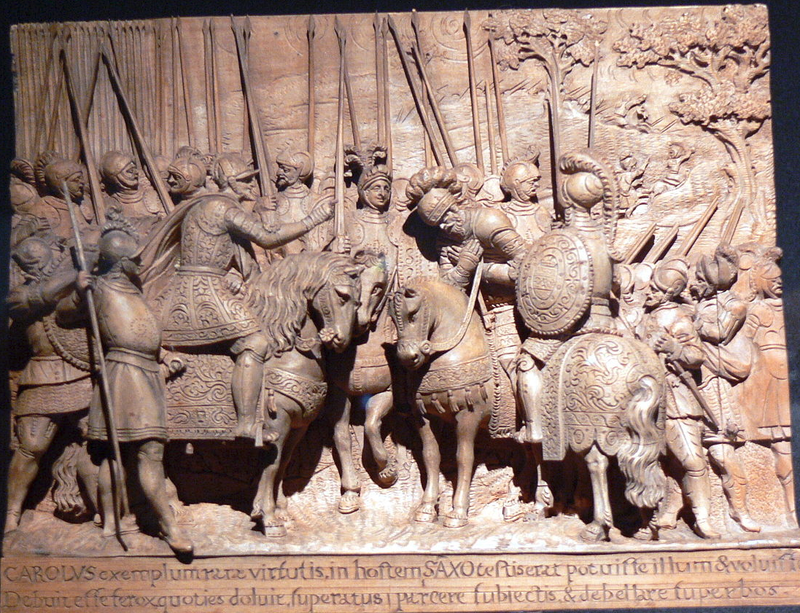 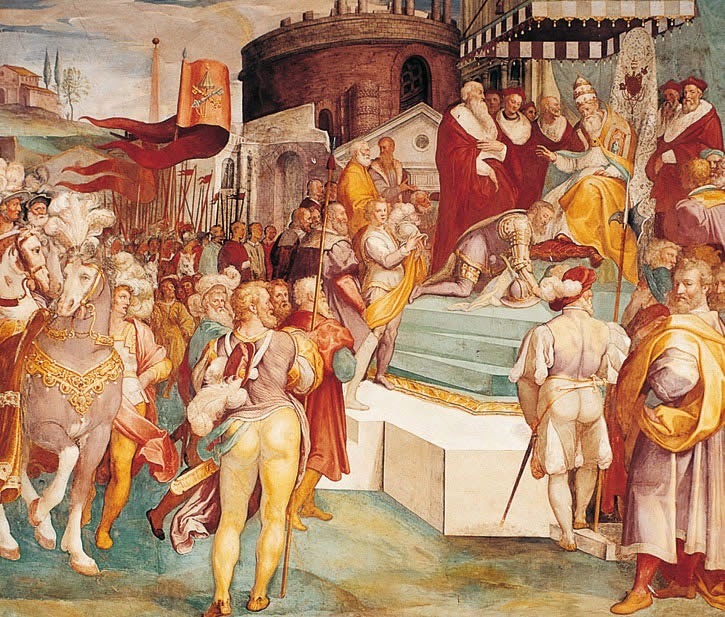 The focus is on the top monarch of the Christian Europe, Charles V , who has been portrayed with knightly horses quite often. 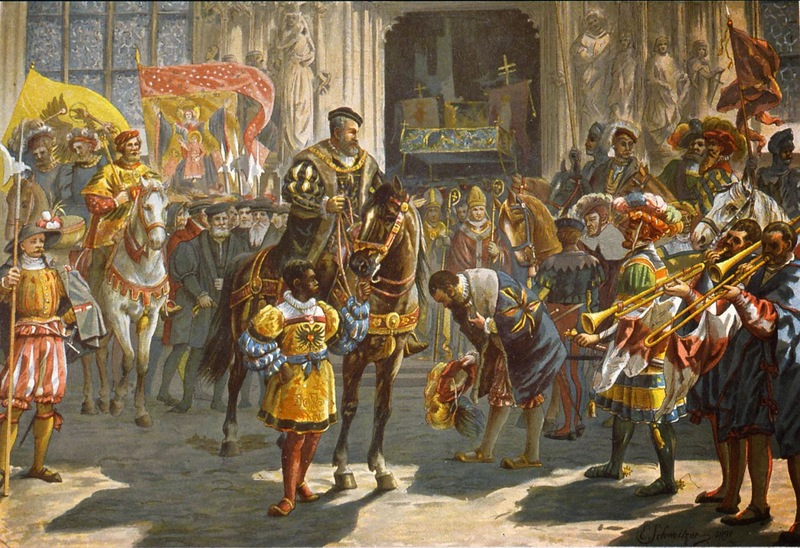 Mind you he was not the most powerful monarch in the world at this time, actually because the was not a single most powerful monarch, but truly he was one of them, the other powerful one was the Ottoman Turkish emperor (sultan) Suleiman the Magnificent. 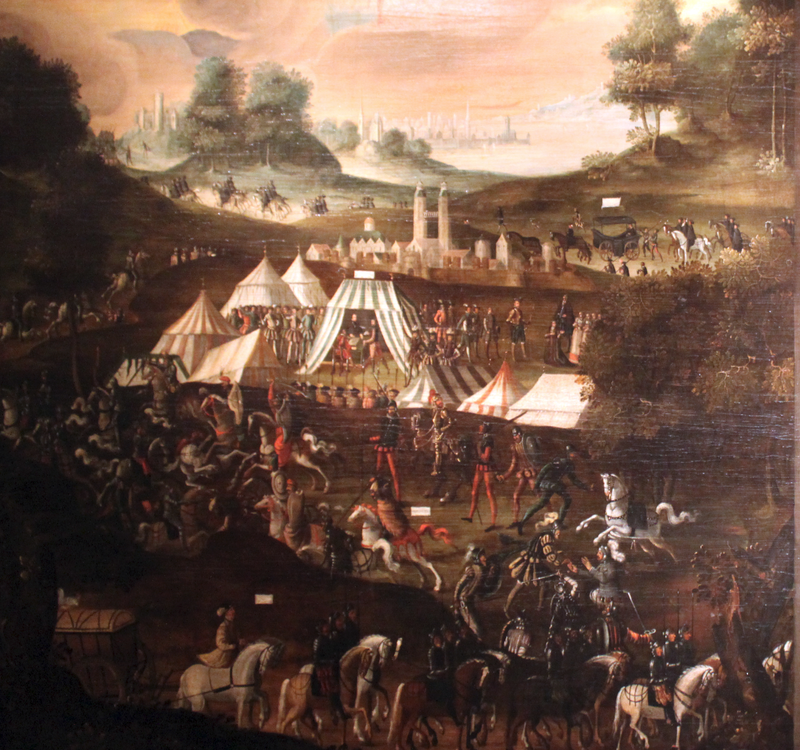 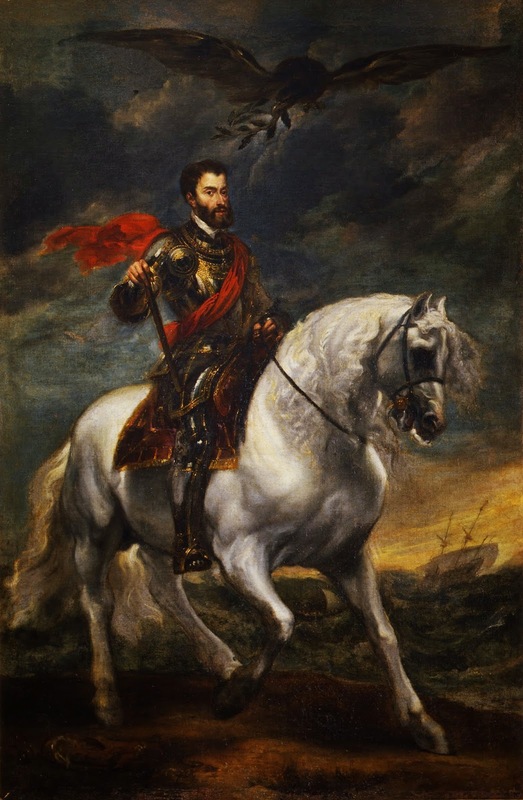 Although we may say that he was not as knightly as his paternal grandfather, der Kaiser Maximillian, nevertheless let us look at some of his fabulous portraits and other images showing el empeador Charles with horses and horse tack of his times. 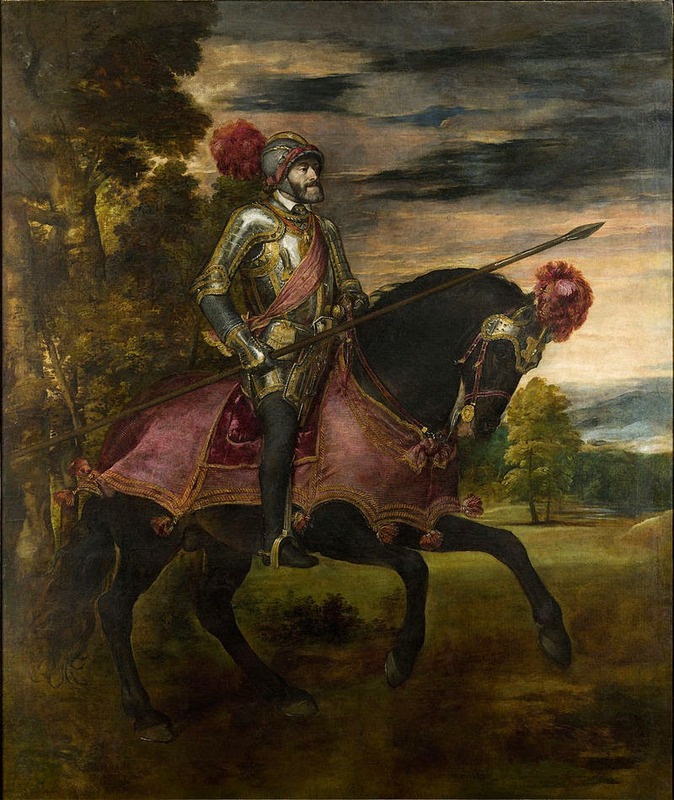 Charles V, apart from the landsknechts, liked to use stradtiots and Hungarian hussars as well as German reiters and this portrait fabulous equestrian portrait by Titian shows him as a lighter cavalryman than the heavy lancer of the first part of the century. 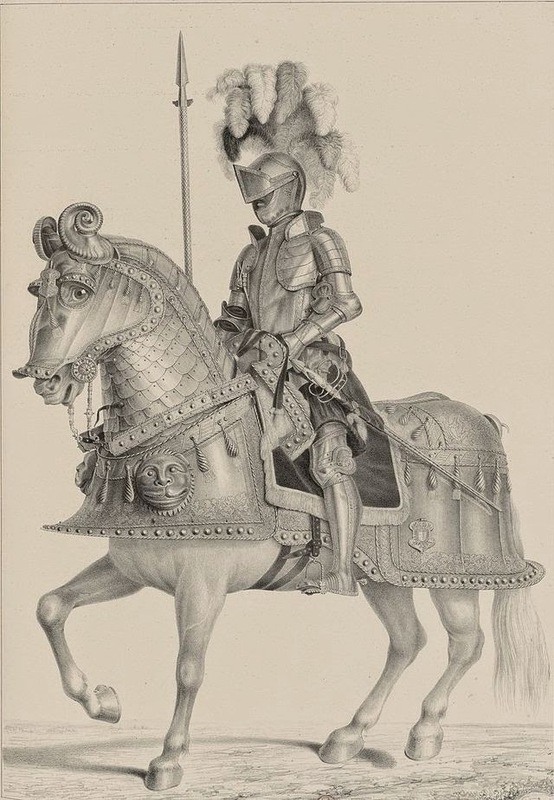 But Charles did own many suits of armour and used heavy horse armour for his mounts, as this drawing of one of them shows.